His name is Angel. 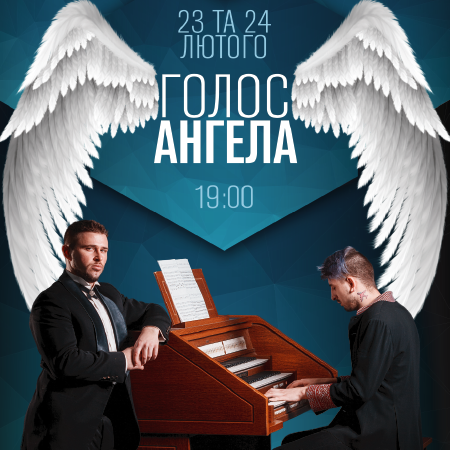 Angel Georgiev is a rare dramatic tenor, a talent shows’ star and a two-time Thai boxing champion of Ukraine. 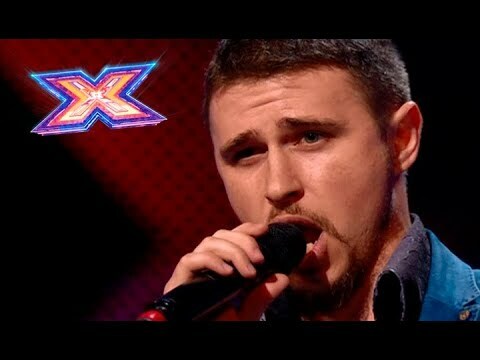 He had learned as a lawyer when realized that singing is his vocation, without knowing the musical notation, entered the music school, then subdued "X-factor" judges and the commission of the Music Academy. Laureate of the Lyric Tenor Competition named after I. S. Kozlovsky, Oksana Petrusenko Competition and Muslim Magomayev International Song Contest. Invited singer of the Lviv National Opera, artist of the Kiev National Opera of Ukraine. 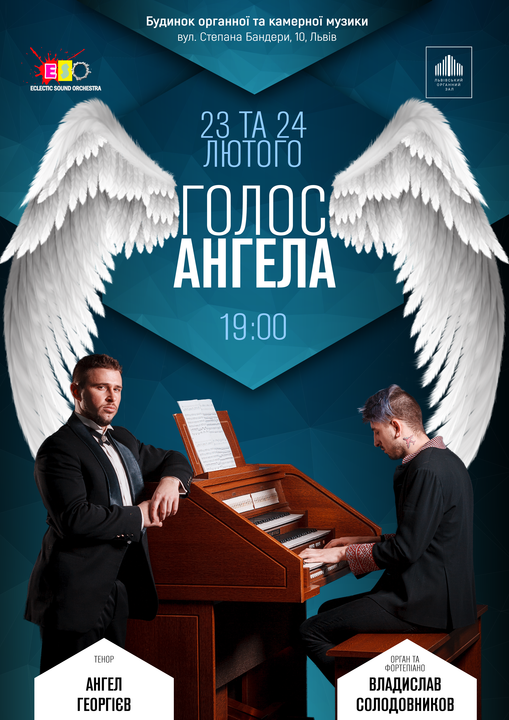 In the Lviv Organ Hall Angel Georgiev will sing arias of famous operas and other pearls of world classics accompanied by organ and piano. G. F. Handel - Samson’s Aria from the opera "Samson and Delilah"
G. Puccini - The first aria of Cavaradossi from the opera "Tosca"
P. Sorozábal - Leandro’s Romance from the "La tabernera del puerto"
E. di Capua - "O sole mio"